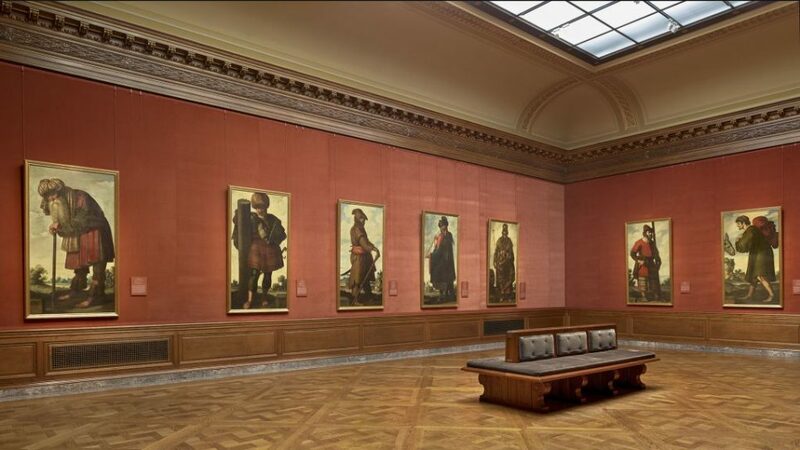 A few weeks ago I had the chance to visit the Frick Collection. The occasion was a 20s and 30s event: we were going to see the Zurbaran (1598-1664) paintings of Jacob and his 12 sons. As an aside, I am neither in my 20s or 30s. Anyway, the exhibit was impressive and a once in a lifetime opportunity to see the 13 paintings in one place as the portrait of Benjamin (Jacob’s youngest son) has its permanent home apart from the rest of the family. Another aside: Jacob’s daughter Dinah was nowhere to be found...just saying. So, sure, like I said it was impressive. The paintings are all equal in size and quite large, they are fine and bold, and I always find it helpful to put scripture in a visual context. I like to see the Bible. It helps me remember the story. Jacob was the son of Isaac and Rebekah and the grandson of Abraham and Sarah. His family tree is ripe with the fruits of dysfunction and several thematic threads run throughout this chosen DNA, even into those men pictured in the gallery. The overarching theme is the importance of family and the influence of example. But throughout the family tree there are also examples of deceit, favoritism, family strife, unexpected blessing, reconciliation, and faith. 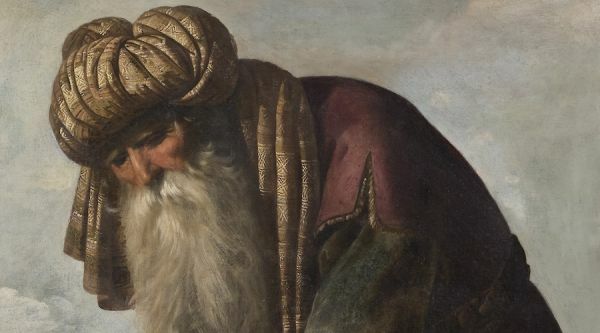 Just consider the story of Joseph, Jacob’s 11th son, probably the most repeated Hebrew Bible story ever. By itself it contains almost all themes woven throughout the previous generations: favoritism (Jacob & Joseph), jealousy (Joseph and his brothers), deceit & injustice (Joseph's brothers putting him in a pit), reconciliation (Joseph forgives his brothers). Turns out, this gallery is like a universal family portrait. So if this is indeed the image of the human family, I had to wonder: which of Jacob’s sons was my doppelganger? Where was I in the gallery? Any of the 12 brothers who didn’t have a beard were automatically off the list. 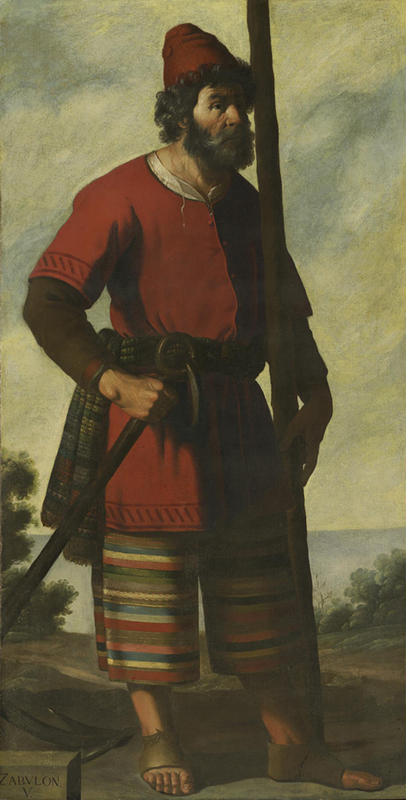 It doesn’t make a lot of sense because the subject's facial hair was either an arbitrary choice by Zurbaran or he modeled the image off of previous paintings by other artists, as I learned from the wall text. But still, I had to start making a shortlist somehow. Then I referred to the so-called blessings that Jacob laid on his boys in Genesis 49. Most of them are like curses really. Take, for instance, Rueben, the oldest. He was destined to be as unstable as water. “You shall no longer excel,” Jacob said over him. I guess that’s what you get for sleeping with your Dad’s concubine. Zebulun was as good a fit as any of them. Beard, check. Blessed not cursed, check. Appropriate outfit (not too fancy, not too plain), check. A disheveled preppy. A North shore hippy. A little tired looking. And we’ve both settled by the sea. For the time being anyway. Of course, there is a little of each of them in all of us. As the Gospel of John reminded us last week, bear much fruit. But as the story of Jacob and his children - and their ancestors - shows us (or in other words: as the reality of human experience reveals…) not all fruit we bear will be good. But if we get stuck there, on only being good, on dotting our i’s and crossing or t’s, stuck on checking off all the right boxes, we miss the point. We may even fall into the trap of becoming like the Pharisees and scribes, caricatures of pious hypocrisy. God does not want automated goody bots; God wants us to know God’s presence in our lives. What we discover in the story of Jacob’s ancestors and sons, and in our own encounter with God through Jesus Christ, is that God is faithful to God’s promises. God chooses to bring about the Kingdom through folks like us, you and me, who are willing to believe in God. God can made the patriarchs and matriarchs new - giving Abram the name Abraham and Sarai, Sarah; Jacob received the name Israel. Doesn’t God make the same promise to those of us who believe in Christ, regardless of where we fall on the sinner/saint spectrum? One glance at the front page of the paper, a bit anachronistic I know, but it’s quite apparent that things could be better, that the Kingdom is being held at bay; maybe we are guilty of a few trespasses ourselves. Of course we are, but in Christ we find forgiveness for our shortcomings as well as power to overcome. We are invited to participate in God's work in the world. We have new names and can trust the promises of the God who proves faithful time and time again. Just like Jacob's family, ours, comprised of you and I - the children of God - is a glorious mess. Both fragrant and sticky, it is the very place where we encounter everlasting life! Stay tuned for next weeks installment!